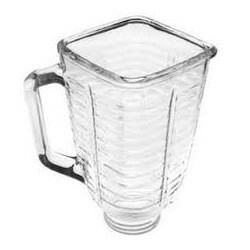 Oster blender replacement glass jar part # 025843-000-000. 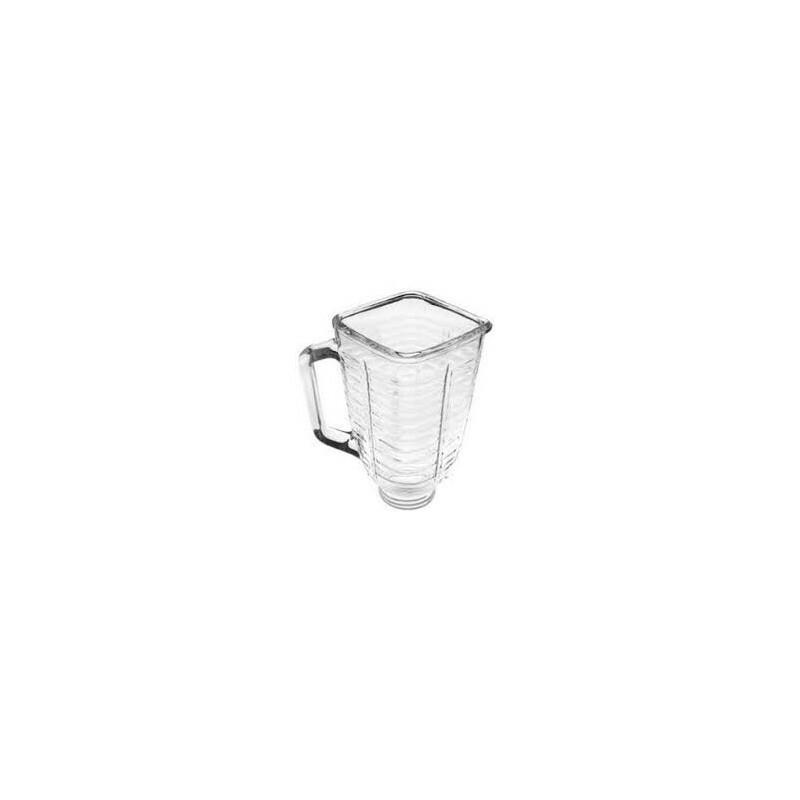 This genuine Oster 5-cup, square top glass blender jar fits all Oster blender models using a 5-cup jar with a square top. This Oster blender jar also fits all Oster Kitchen Center models. Please note that if your jar was an older model 4-cup jar or a newer model 6-cup jar, you need to buy a lid and cap that fit this 5-cup jar.